Chiranjeevi’s 150th Film: Special Intense ‘Zumba’ Training For ‘Kaththi’ Telugu Remake: Megastar Chiranjeevi worked hard and he reached the top position in Tollywood without any support. He has now become the inspiration of many aspiring actors to impress the audience. He reached an untouchable position and he has been awarded Padma Shri for his contribution to Indian cinema. A chain of actors like Pawan Kalyan, Ramcharan, Allu Arjun, Varuntej, Sai Dharam Tej and Allu Sirish have been introduced with his support as Megastar has a huge fan base among the Telugu speaking states. Many of his movies created huge records all over for his all round performance. 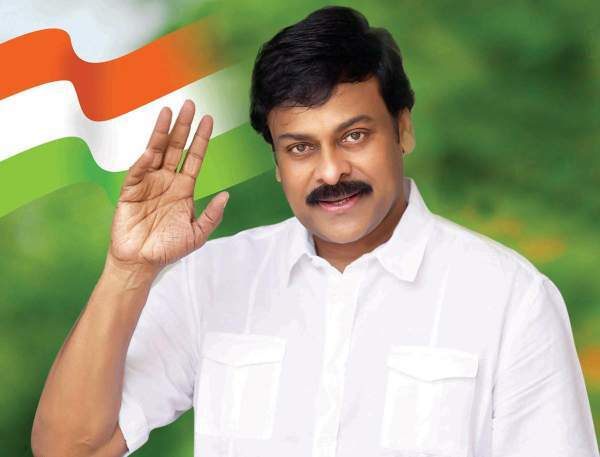 After making it to the top, Chiranjeevi made his moves towards politics and he started his own political party named Praja Rajyam. But leaving everyone in surprise, his party failed to get the minimum seats and he merged his party in Congress. Read: Mehreen Kaur Pirzada Signs 3 Big Tollywood Movies. With the state bifurcation into two, the situation of Congress has been worse and Chiranjeevi decided to come back to cinema as his charishma has been stable and irreplaceable. He has been busy listening to scripts from the past one year but nothing has been finalized. Chiranjeevi worked hard to make himself fit as he has been out from movies for almost 8 years. Many leading filmmakers, writers and directors failed to impress Megastar with the script which shows the heights of care he has been taking. Megastar is in no mood to comprise and come in a hurry as the movie marks his 150th film in his career. Finally VV Vinayak has been roped in to direct the movie and he is busy with the script work of the film. The movie is the remake of Tamil blockbuster Kaththi which has been directed by AR Murugadoss and Vijay, Samantha played the lead roles in the movie. Lyca Productions produced the movie and the movie is all set to start rolling from April this year. The latest news is that Megastar is currently busy working out to become completely fit. He started attending Zumba classes which is the best way to lose weight and bring back the rhythm for the body. Zumba is a combination of aerobics along with dance moves which helps you lose huge weight in quick succession of time. Megastar felt that he need to lose more weight to look fit and young. He also revealed that Zumba will bring back the needed feel. The regular shoot of the movie will start from April and Ram Charan will produce the movie on his own banner.